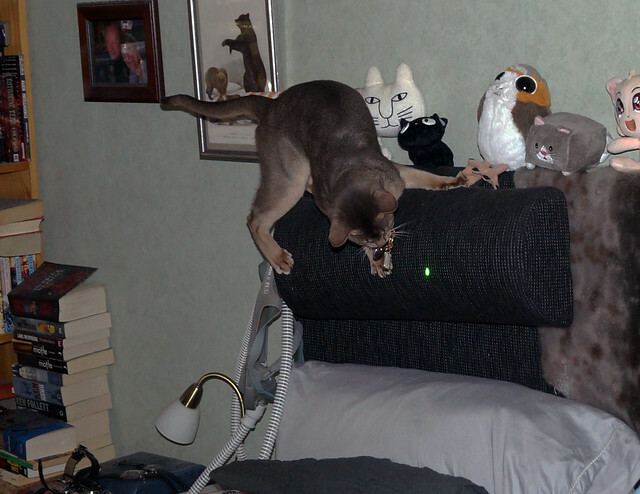 Last year at a cat show, we won a blue laser pointer in one of the raffles. 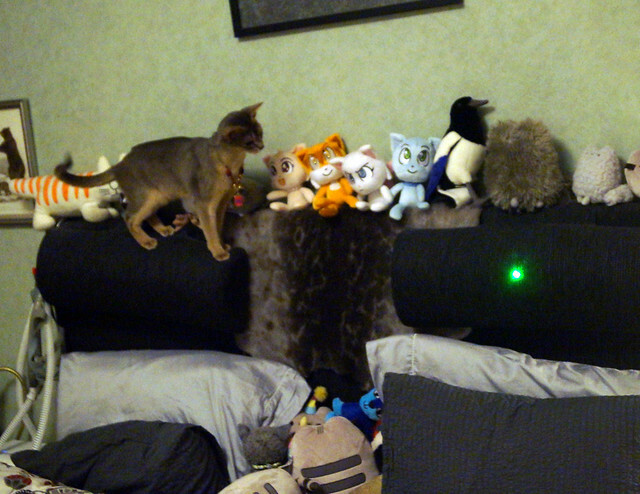 I’ve always thought blue and green laser pointers were better for cats than red ones because cats see blues and greens much better than they see reds. 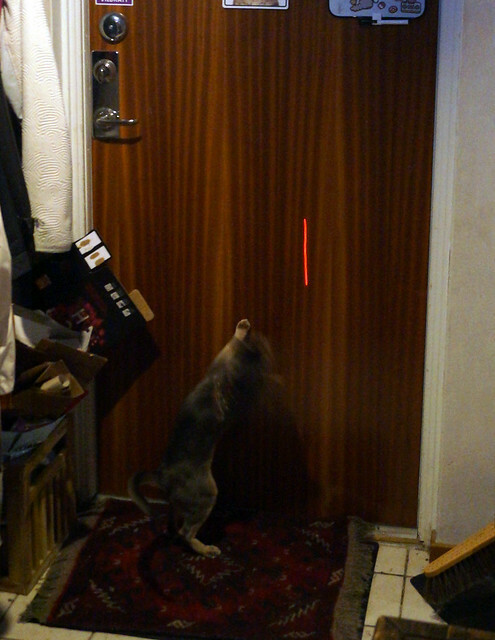 Lorelai loves the laser pointer, regardless of colour. 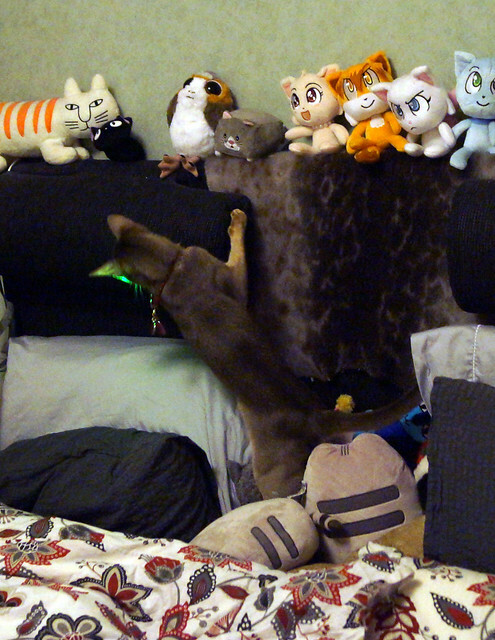 She really loves the green one, which is also Jacoby’s favourite. 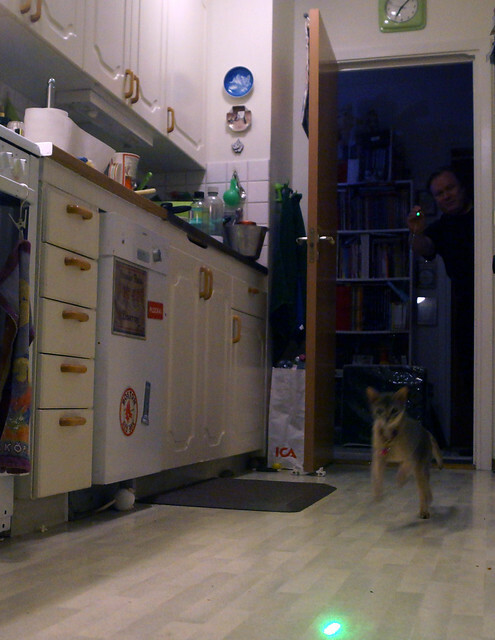 She loves it so much that she assumes her pounce position in the hallway, stares at us (Björn, mostly) and meows at us to “make the light go!” We run it up and down the hallway, into the kitchen, and into our bedroom. The lighting in our bedroom isn’t great, so we tried capturing her with the flash on. 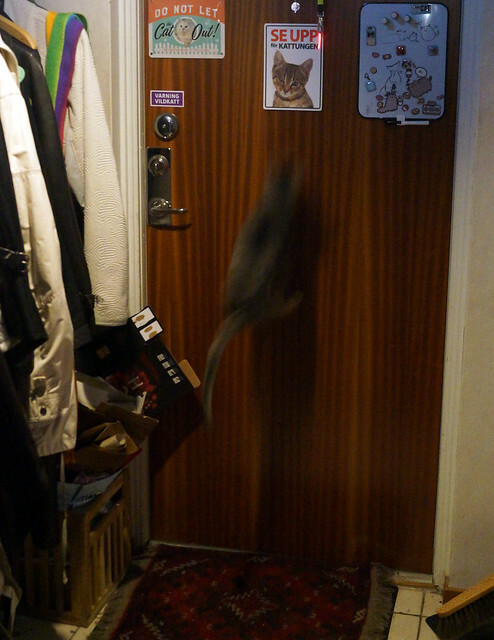 Flash photos didn’t capture her frenzy very well, so we tried without the flash. 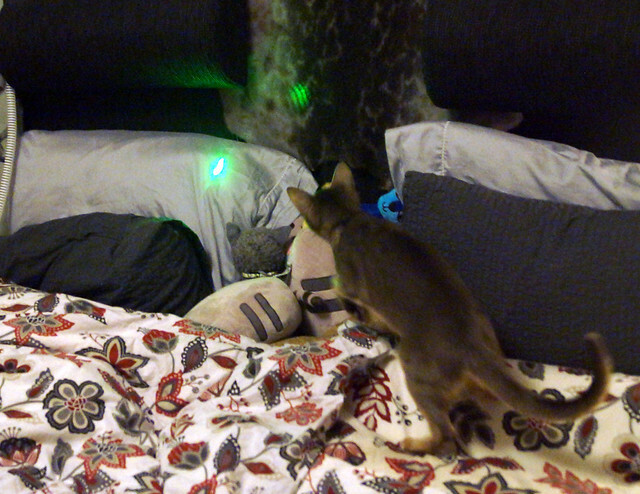 That didn’t really work, either…so here’s a video of Rory playing on the bed with the green laser pointer. 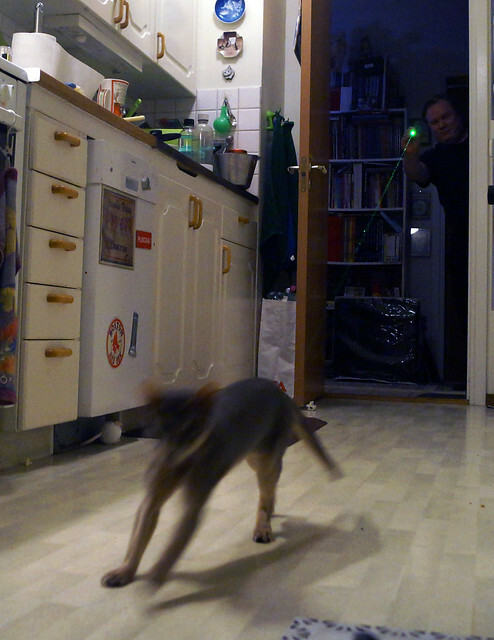 Our hallway is even less well-lit than our bedroom, but I had to show her other trick. 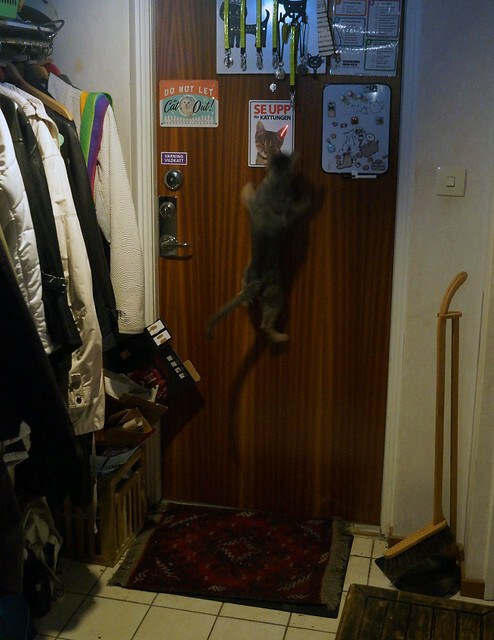 …that she leaps higher than the door handle! 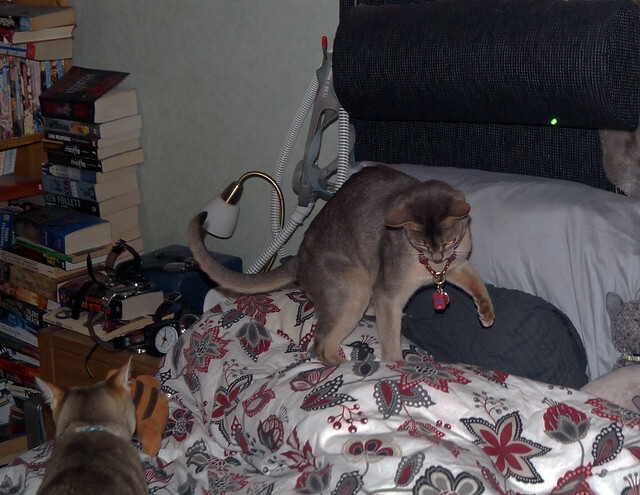 She runs so fast when she’s chasing the laser pointer, and her run includes these little “flying leaps” in the middle of her gallop. It’s amazing to watch her. 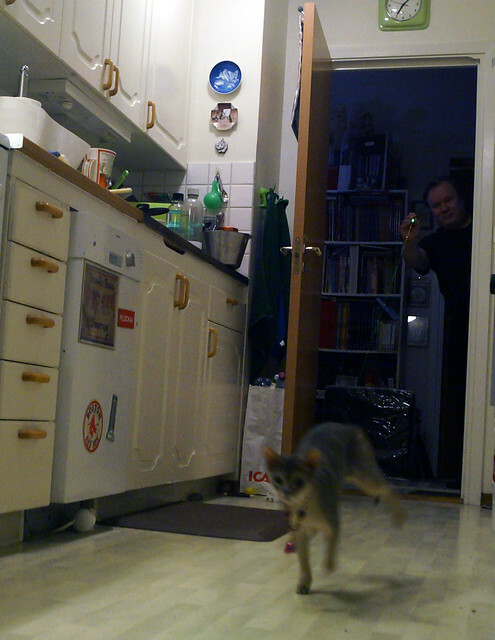 We tried to capture it in the video above, but I am not sure that it really captures the way she runs. 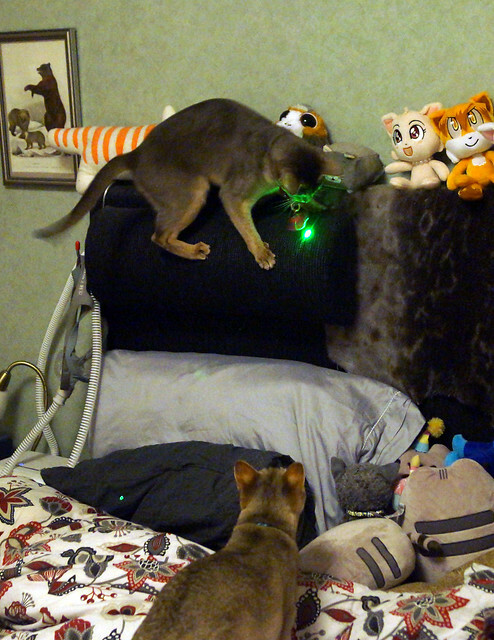 But what it does capture is something more unusual and rare: Angel playing with Rory and Izaak!